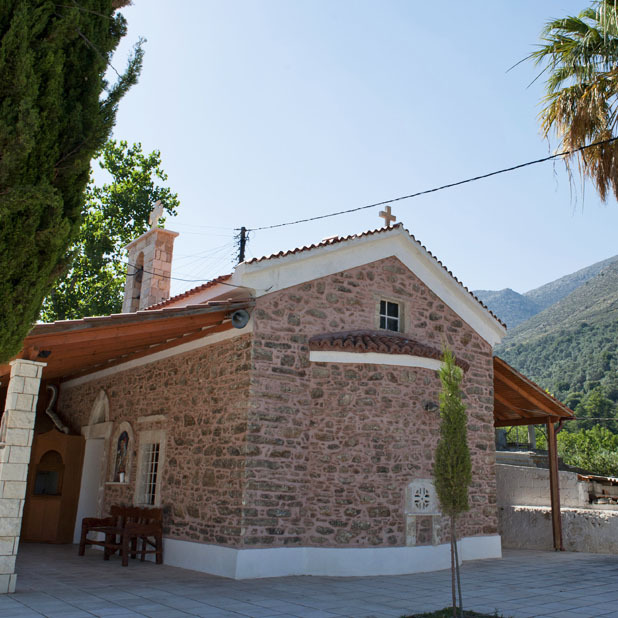 This is a small Byzantine church with rare murals. The courtyard of the church still contains the village fountains, which date back to the 14th century. The Byzantine church situated just outside Kitharida may be one of the most interesting churches on Crete, architecturally speaking. It consists of three aisles, a narthex and three domes, one for each aisle. 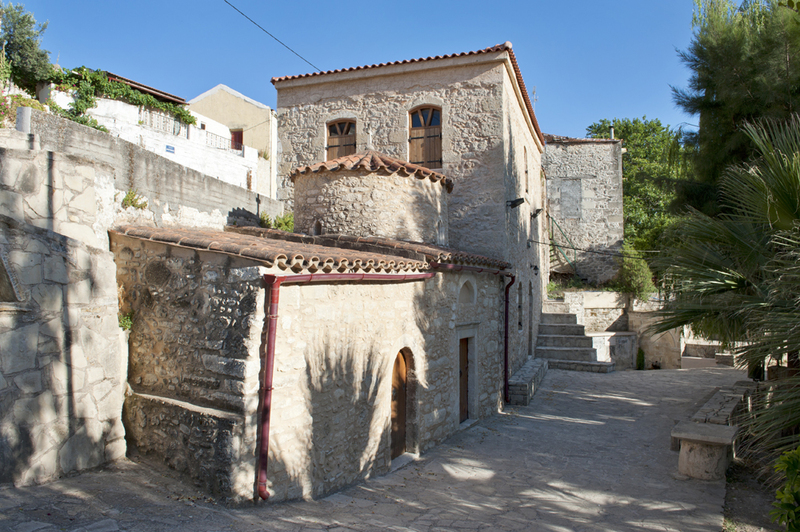 The church served as the catholicon for a monastery destroyed during the revolution of 1866. 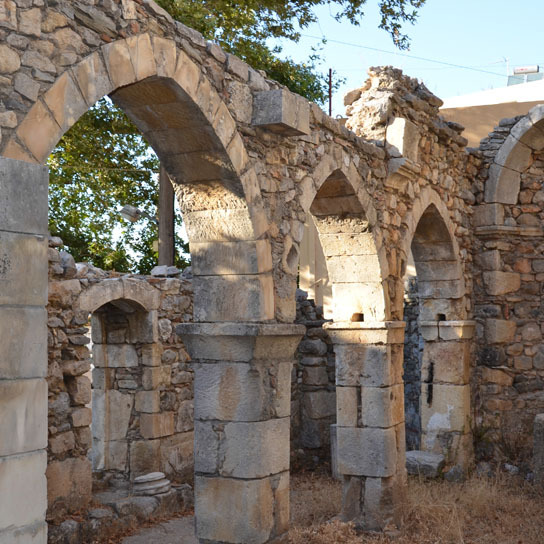 The Byzantine church of Agios Ioannis is a three-aisled basilica, with ogival arcs supported by columns bearing capitals of the Ionic order. 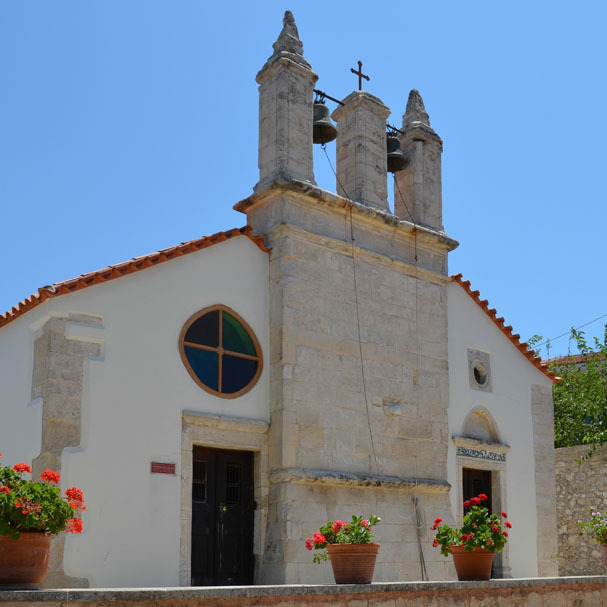 The church, which dates back to the 12th – 13th century in its entirety, was erected using older structures, possible older churches, as building materials. 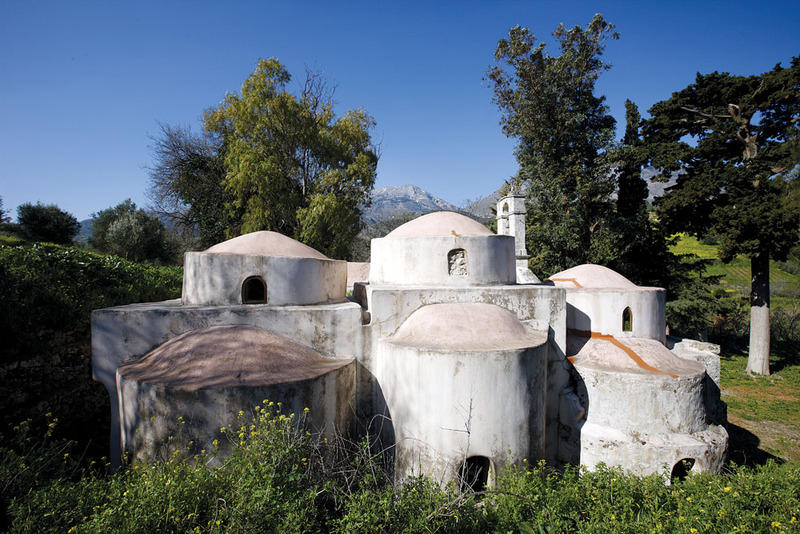 This is a Byzantine church belonging to the architectural style of free cross with dome—one of only a few of its kind in eastern Crete. Its surviving murals are few but showcase excellent craftsmanship and date back to the 14th century. A two-aisled Byzantine church dedicated to the Virgin Mary and to Christ the Redeemer. It was erected in 1381 and the murals of the older aisle, which date back to the 1391, depict scenes from the Betrayal, hell and Saints. The belfry dates back to 1627. 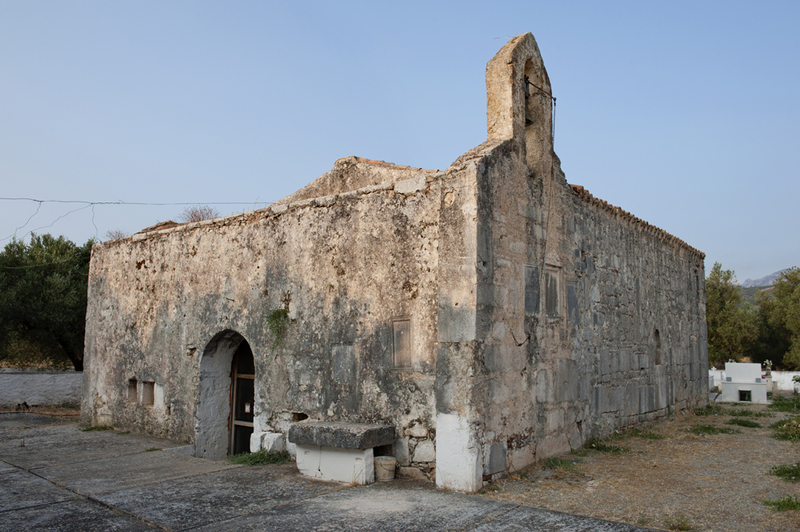 A Byzantine two-aisled church located at the centre of the village. One of its aisles is bigger than the other and dates back to the 15th century. A medieval fountain has survived outside the church. 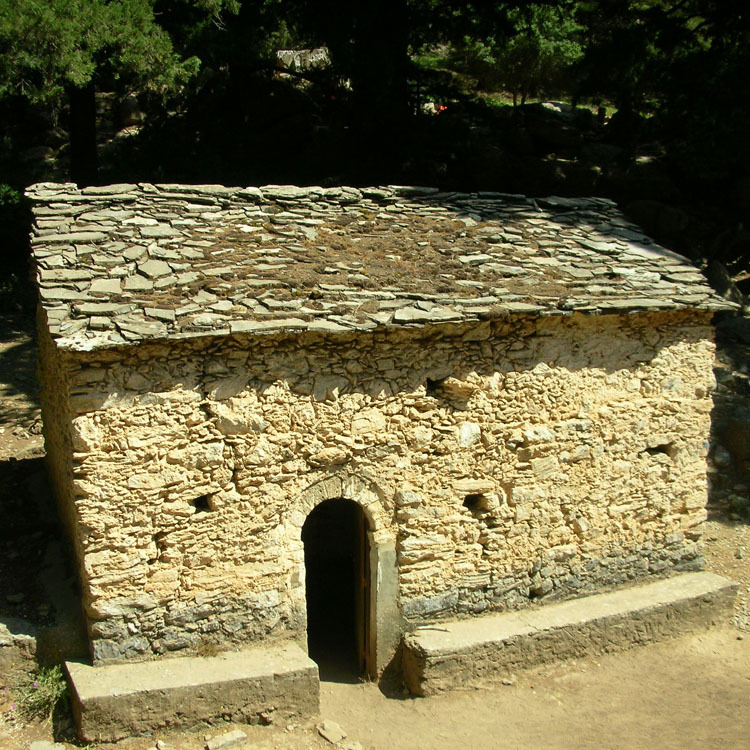 The Byzantine church of Saint George is located in the cemetery of Heliana, just outside the village. According to the carved inscription, the church was built in 1319. The surviving murals are in quite good condition, the most remarkable being that of Patriarch Nikolaos. Half way down into the Samaria Gorge lies the deserted village of the same name. 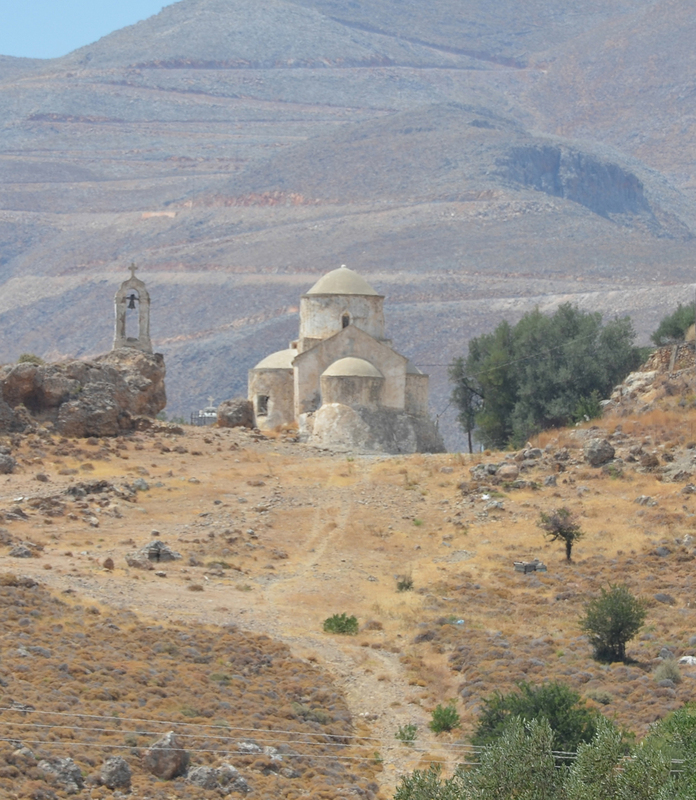 Here stands the Byzantine Church of Osia Maria from Egypt, which gave the gorge its name (osiamaria=samaria). This is a one-aisled, arch-roofed church with 14th century murals. 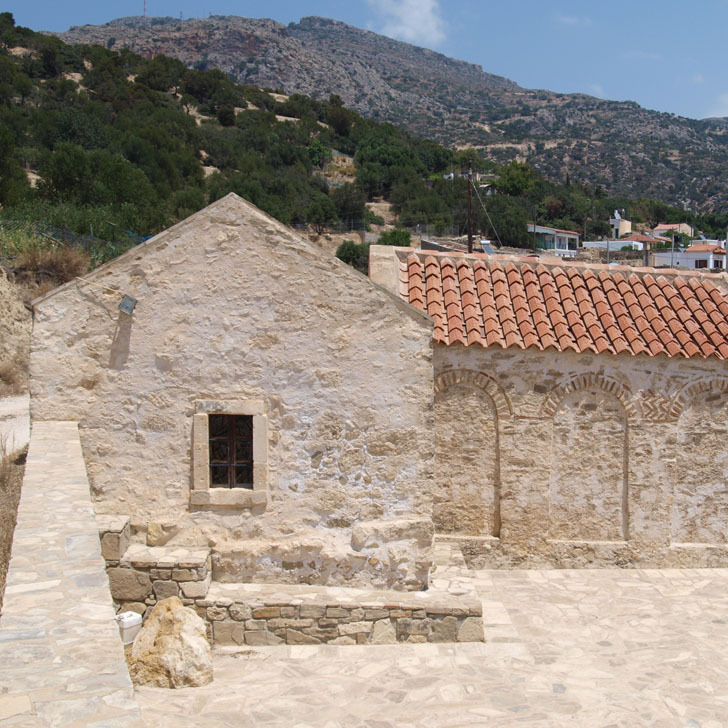 A 15th century Byzantine church, which was for many years the most impressive church of the Chora of Sfakia; it used to be visible from every point of the town, as it is built on a hill. The bell tower was added later, in 1900.